Thank you for being a special part of Kelsey and Cameron's wedding celebration. We are so grateful! Thank you for taking care to keep the unused product dry and whole. Returns were easy thanks to you. You are true professionals and we will shout out your name to others. They were amazing! Very personable and could handle this crowd that likes to drink! Thank you for helping make my party a success. It was absolutely wonderful working with you and Joanna. I will definitely recommend your business if anyone should ask for bartenders. Thanks again for all you did last night. You guys were amazing! Thank you so much! Thank you both so much!! You both were so great and so many of our guests loved you guys and some even knew you! How funny!! Hope you both have a great night!! Thanks again for handling everything for us. 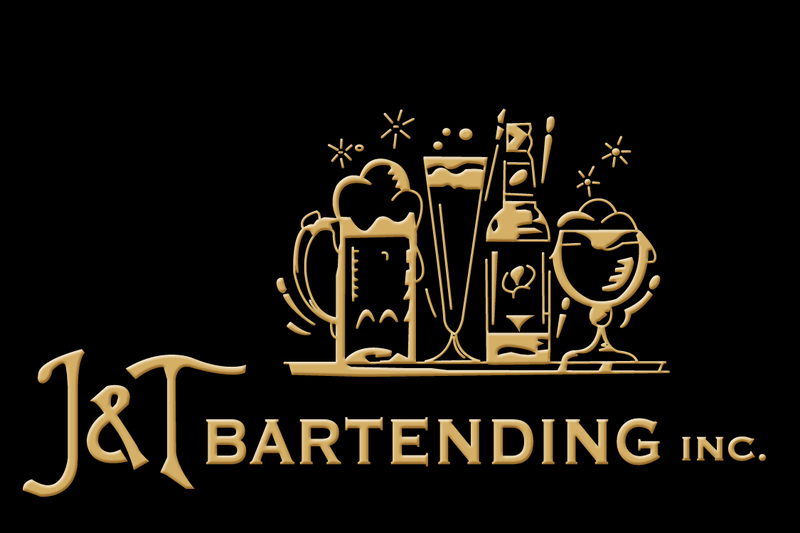 It was a perfect event and we will be sure to recommend you to anyone that needs bartending services. Heather was great ,thanks for the service! Thank you Tony and Joanna. Danny and I will definitely recommend you to anyone we know in need of excellent bartending service. You were very patient with all my questions and changes. Thanks for helping to make our wedding day so special. Hello Tony! Sorry for the delayed response—we have been in Spain for our honeymoon with limited contact to the outside world haha. A special thank you to Joanna and Amy for being so awesome on our wedding day. All the guests were happy and they made the Harshmanca perfectly! I drank them all night! Thanks again—we will definitely recommend your services to our friends and family in the future! You guys are amazing!!!! So helpful, so pleasant. If I ever hear of an event in that area I will be sure to recommend you! Thank you SO much! The day was ABSOLUTELY magical, and I couldn't have asked for anything better! That is due in LARGE part to YOU AND JOANNA! You will ABSOLUTELY get a raving review from me to anyone in need of Bartending! Thank you from the bottom of my heart! Joanna and Jordan were wonderful and kept all my guests happy. I gave business cards that Joanna gave me to two mothers planning their daughters weddings. Do you travel to Brevard County? Both will be getting married in Titusville and hope to use you as their bartender. I can’t thank you enough for the professional and friendly service you provided for Kalie and Derek. They were very happy and pleased with everything. Thank you so much!!! Yes! I will definitely share your information with my friends and family or anyone looking for your services! You guys were awesome!! ️ Thank you for your great service, Oh and some of our friends remembered you from Mariah’s wedding back in February! Thank you so much! They were wonderful! Will definitely refer you!! You guys were awesome!! From the first email I sent you, you always answered my questions and very helpful with everything & the list of items I needed to buy. My husband, Kenny & I were so happy that you guys were there for this special day for our daughter, Lyndsay & Zach!! Awww, I will pass your kind words about their barn to the kids and glad you liked the bar!! We got so many compliments about both of you & if we ever need your service or if anyone ask us who to use, you will be first on our list!! At the end of the night, I told Lindsay Dickinson that I'm so happy she recommended you guys to us!! Loved your post & pictures on your Facebook page! Thank you so much for taking care of our family & friends that night!! You two are a first class team!! Oh thank you so much we had such a great time hosting everybody and the pictures you posted are awesome and I will keep you in mind if we ever need you again. Thank you again for everything. Thank you guys very much. You guys did a great job! Especially dealing with our crazy guests and awful weather haha. I would certainly pass your contact on to anyone looking for a bar tending service. Alexa and I couldn’t be happier with the service you provided. Thank you so much for everything for our wedding day. I heard nothing but good things about the bartenders and was very happy with everything. I will spread the word about how great J&T is and keep you all in mind for any other parties we may have in the future. Thank you both so much! Everyone said you both were amazing. Thanks so much for helping make our day special!
" J and T bar-tended my wedding last weekend and were great! They have the most reasonable prices and are so so nice! They made it soooo easy! " " You were phenomenal. Could not have asked for more professional fun folks. Will give you a review of outstanding and will definitely refer you again and again and again. " " Thank You guys sooooooooo much!!!!!!!!!!!!!!!!!!!!! Everybody had a blast. You and Jordan did a excellent job. Thanks for the hard work and professionalism!!!!!! " " Hi Tony and Joanna, I know we had little contact throughout the process (Mike was pretty amazing at doing a lot of work) but I wanted to thank you myself. You guys were amazing, I appreciate your awesome service! I will forever refer you guys to anyone I know in need of your service, I'm a realtor so I know how important referral business is. " " You guys did an amazing job. Was happy we had enough of everything. Lol Everyone was like wow the Bartender was great and the drinks were amazing. You will celebrate with us again. I Have your number and emails saved on my phone. Will definitely refer u to everyone I know. " " Thank you so much! Joanna and Julia were great! We will definitely recommend your group if another bartender is needed. " " Thank you so much for everything! I will definitely speak nothing but praise for all that you guys provided us and will pass along your information to those looking!! " " Thank you, Tony. Jordan and Amy were great. We posted on our FB pages to give J&T a shoutout for a job well done!! " " You were wonderful! Such a great experience with you guys. I heard great things about you from the guests. We will definitely recommend you and keep you in mind for future events. You are so welcome. Thank you for being part of making our day so wonderful! " " Thank you Tony.. Everything went perfect !!! I will be sure to advertise your company for anyone that needs your services. " " I just wanted to extend my sincere gratitude for your exceptional service yesterday! Again -- thank you so much! It was a wonderful day for sure!! " " I can’t thank you enough for your great services, you and Heather had your hands full Saturday night and you did a fantastic job. I will most definitely keep you in mind for anyone that may need an excellent bar service crew. Thank you again for help making such a wonderful day and evening flawless. " " Thank you so much!!! For everything! It was perfect!!! I will definitely be recommending you guys! " " Thanks Tony!! You all were wonderful and we really appreciate your great work out on the farm!! Thanks for keeping the masses pleased! " " Thanks Tony! Everything went super smooth. You guys were great. I'll be in touch for the next one down the road ...I hope in a few years....need a couple years to recover. " " Thank you for your professional service! Everything was wonderful! We plan to call you again for our next party and will not hesitate to refer you for friends who are looking as well! Thank you very much! " " We had a great time also... Loved Heather, she was awesome!!!! Feel free to stop by anytime to pick up table... It will be right where you left it... Thanks again for making Mark's party a success!! " " Thank you so much for your kindness. I never saw a line at the bar, which was fantastic. You guys were such a wonderful addition to a great celebration. Thank you. The staff at the Hampton Inn is thrilled to know that they've got a bunch of beer coming there way! "